In his long-awaited time-lapse drama Boyhood, Richard Linklater ingeniously twins a parade of childhood staples with a decade-sprawling evocative soundtrack. 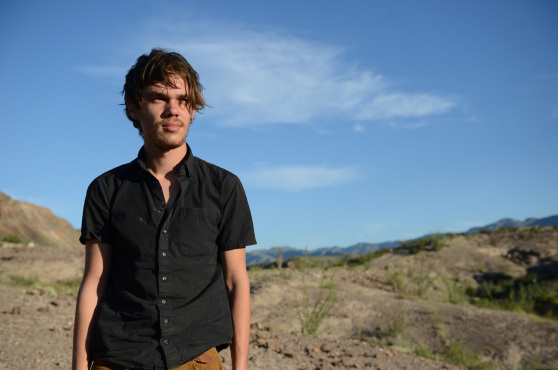 The film achieves the perfect balance of universality and specificity in constructing the childhood of Mason Jr. (Ellar Coltrane), resulting in a time capsule of experiences recognisable for an entire generation of children and their parents. Although Boyhood is inevitably episodic it is never disjointed; the passage of time is easy to perceive yet never too sudden. Despite the realism which results from the film’s key conceit Linklater’s vision of an American boyhood is an idealised one. For all its frank documenting of the tyranny of Mason’s abusive alcoholic stepfather Bill (Marco Perella) Mason’s childhood is curiously free of illness, broken bones and the death of pets or grandparents. Although much press coverage has focussed on the fruitfulness of Linklater’s 2002 decision to cast the 6 year-old Coltrane, plaudits are also due to the director’s daughter Lorelei Linklater, who gives a fabulously precocious turn as Mason’s older sister Samantha. Linklater’s long-term collaborator, Ethan Hawke, is less of a presence than promotional material suggests. For the majority of the film Hawke’s Mason Sr. is an even worse kind of father than Before Midnight’s Celine (Julie Delpy) accused him of being. The archetypal weekend-dad, he treats Mason and Samantha to bowling trips and junk food before leaving his ex-wife (Patricia Arquette) to deal with the consequences, as well as the day-to-day struggles of parenthood. 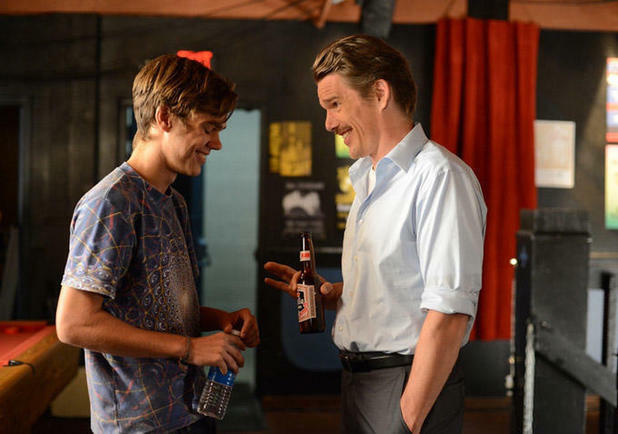 Boyhood is as much about parenthood as growing from child to adult. And although Little White Lies’ Oliver Lyttelton claims that Linklater has “always been a predominantly male-focussed director”, in both Boyhood and last year’s Before Midnight it’s mothers, not fathers, to whose plight Linklater demonstrates an insightful sensitivity. Although 166 minutes in the cinema rarely feels this fast the film could take some cutting, not to ease the lengthy runtime but to retain its verisimilitude. Mason driving away to college to the soundtrack of Family of the Year’s Hero, the addictive tune also featured in the trailer, would have made a neater albeit more clichéd ending. The final scenes, showing Mason’s arrival at college and a hasty drug-enhanced trip into the mountains, are the only part of the film which don’t quite ring true, though the rather abrupt ending makes it seem that Mason’s life is continuing and we’re just not able to watch it anymore. Linklater’s latest is a low-key yet soaring celebration of living and growing, and a joyous reminder of the potential creativity of humans. It’s not flawless, but then again neither is life. This entry was posted in Film Reviews and tagged Before Midnight, Boyhood, Ellar Coltrane, Ethan Hawke, Family of the Year, Hero, Julie Delpy, Little White Lies, Lorelei Linklater, Marco Perella, Oliver Lyttelton, Patricia Arquette, Richard Linklater. Bookmark the permalink.